I first met Liz and Peter on December 28, 2015, at Kaffmandu Coffee Shop in Danvers, MA. My sister was visiting from Ukraine, so she joined Liz, Peter, and I for coffee, conversation, and wedding photos. Both my sister and I immediately knew I just had to shoot their wedding because we all immediately experienced a wonderful connection. Thankfully, they contacted me the day after we met in Danvers, and asked me to photograph their wedding. I couldn't say yes fast enough! Liz and Peter trusted me with the task of capturing such an important day, and I take that responsibility seriously. They are such a lovely couple that I want to share their love story with you all! This love story began on a blind date at a Red Sox game in June 2013. Liz's brother-in-law, Patrick, had been trying to set them up for awhile, so he finally went out on a limb and gave them two tickets for the game. The rest, as they say, is history. The couple was so thankful for Patrick's foresight that they even asked him to officiate at their wedding! When Liz and Peter began dating, they frequented the North Shore: Newburyport, Salem, Marblehead, Beverly. When Peter decided to propose in July 2015, he took Liz back to that area, to an oceanside spot on Coolidge Reservation in Manchester-by-the-Sea, a place they'd never visited together before. The two shared a small picnic and Peter popped the question while Ben E. King's "Stand by Me" played in the background. 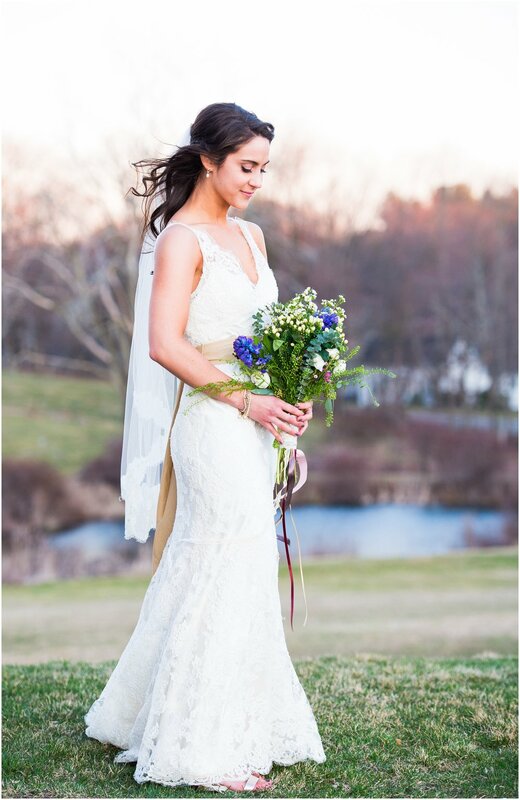 Their wedding was held at the Barn at Gibbet Hill in Groton, MA. The atmosphere of the location is what captured their hearts. The Barn has a relaxed elegance which results in a cozy and romantic vibe, which was just what Liz and Peter wanted for their wedding day. This was the perfect backdrop for important details of the special day: a grandmother's handmade doilies as a part of the centerpieces, the bureau drawer from a family member's home, which held name cards and guest favors, which were placed on top of a bed of coffee beans, which is Liz's favorite beverage. Peter's favorite sport was even reflected on their wedding cake in the form of a mini golf cart with a "Just Married" sign on it. One especially beautiful touch is how Peter and Liz wove benchmarks of their love story, and those of their family members, into their special day. 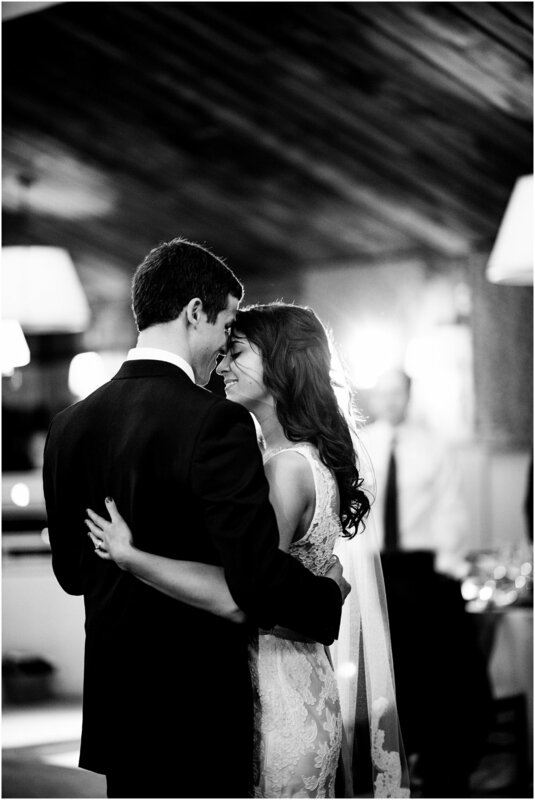 Ben E. King's "Stand by Me" was the soundtrack for the couple's final dance at their wedding reception. The couple's family members brewed "The Great Hansino" beers and shared them widely throughout the wedding weekend; the name blends the couple's last names - Hanson and Gianino - and is a nod to The Great Bambino and the couple's first date at Fenway. Both of their parents were married on an 11th - June 11 and July 11 - which is why Peter and Liz chose March 11 for their own wedding. While this couple has many differing interests, they find overlap in many activities: spending time with family, playing cards, seeing how many answers they can get right while watching weeknight Jeopardy, cooking together, and traveling to new places. They even went to Australia in November 2017!